Sportsjam.in is one of the leading online sports shop in India. It's the one stop-shop solution for all sports needs ranging from Racquets, Balls, Bats, Clubs to Shoes, Caps & thousands other accessories. The All India Tennis Association (AITA) is the governing body of tennis in India. It was established in 1920 and affiliated by International Tennis Federation and Asian Tennis Federation. All India Tennis Association operates all of the Indian national representative tennis sides, including the India Davis Cup team, the India Fed Cup team and youth sides as well. AITA is also responsible for organizing and hosting tennis tournaments within India and scheduling the home international fixtures. The AITA has its headquarters in Delhi's R.K. Khanna Tennis Complex. The Bengal Lawn Tennis Association, which later became Bengal Tennis Association (BTA), was housed inside the South Club, Kolkata. Later, BTA moved to Salt Lake, Kolkata where it developed its own property. BTA's mission is to provide tennis service to the community at large, to reach out to the vast tennis talent and to exploit true tennis potential with the aim to produce champions. BTA has 8 courts -6 deco turf full size courts and 2 deco turf mini tennis courts with Floodlights. The Maharashtra State Lawn Tennis Association (MSLTA) is the sole controlling and Governing body for Tennis in the State of Maharashtra. 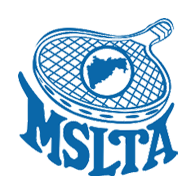 MSLTA is registered under the Societies Registration Act 1860. MSLTA main objective is to promote, develop, control, propogate and ensure proper conduct of the game of tennis in the State of Maharashtra. MSLTA also organises and conducts State, National and International level Tournaments and provides tennis training facilities, coaching camps, at various centers in the state of Maharashtra. 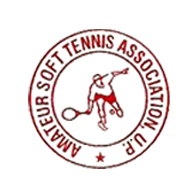 The Uttar Pradesh Tennis Association (Amateur Soft Tennis Association Uttar Pradesh) is registered under the Societies Registration Act 1860. It is recognized by Uttar Pradesh Olympic Association. ASTAUP main objective is to work for the progress of tennis game the State of Uttar Pradesh. ASTAUP also organises and conducts State, National and International level Tournaments, work for development of Tennis game at rural level and provides tennis training facilities, coaching camps, at various locations across Uttar Pradesh.